To produce and prepare the race bibs, etc. for those already registered, online registration will close on April 2nd 2019 at 11:59pm. 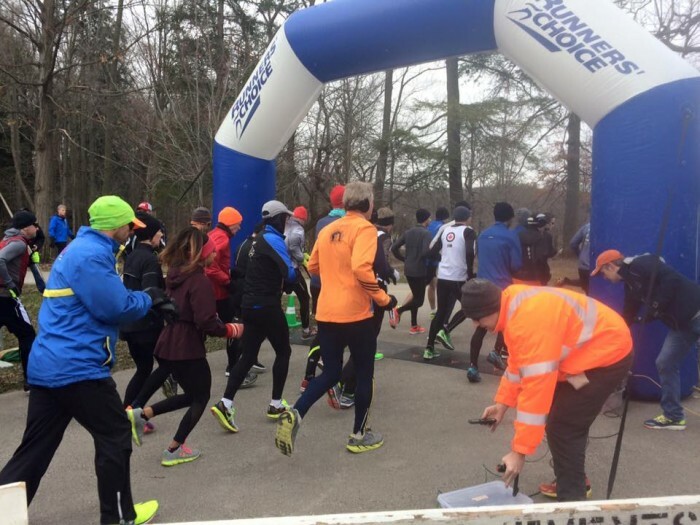 Race registration is still available on Friday April 5th from 4-8pm and Saturday April 6th from 9:30am-4pm at Runners Choice 520 Springbank Rd London On N6J1G8 (Springbank & Berkshire) or by dropping off a race registration to the store Wed thru Friday. DAY OF REGISTRATION IS POSSIBLE BUT MUST BE DONE AT LEAST 1/2 HOUR BEFORE THE START OF THAT DISTANCE.There is a link to an offline registration half way down the Race Roster reg/info page or in the store. Giveaway hasn't yet been determined but it will be great as always. and this year we have not yet determined the Giveaway but Thanks to New Era Grafixs we know it will be a good one ! REGISTER BY MARCH 15th to GUARANTEE you get one ! 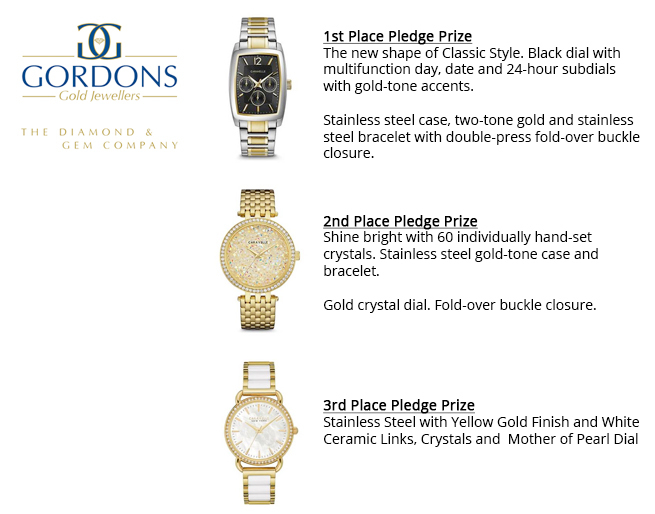 courtesy of Gordon's Gold Jewelers. We Hope to See You at the 1st big race of the Year ! When you support the Run for Retina, you are supporting our community by raising valuable funds for St. Joseph’s Health Care Foundation, directed to the Ivey Eye Institute. To recognize your incredible efforts, we reward the top 3 pledge earners. These were last years pledge prizes and we expect to have similar ones for 2019 !